For the last several weeks I have been researching my new book and I stumbled across a bit of information that suggests the Air Force was less than enthusiastic in their investigations of UFOs. I wondered what their conclusion of the McMinnville photographs was. These are the two pictures taken by Paul Trent on May 11, 1950 of a disk-shaped object near his farm in Oregon. I’m not going to debate the merits of the pictures here, merely look at the Air Force response. According to the Project Blue Book files, they came to no conclusion. In fact, they didn’t bother to investigate the case. Here was a sighting with physical evidence in the form of photographs. Even a cursory look at the pictures tells you that they are either an alien spacecraft or a hoax. There really doesn’t seem to be a third explanation because the pictures are too sharp and crisp to suggest some type of indistinct natural phenomenon or an advanced aircraft of Earthly design. But again, that really is an argument for another day. I have recently acquired some information concerning the sighting and taking of two, (2), photographs of one, (1), unidentified object by Mr. and Mrs. [name redacted but obviously Paul Trent] of McMinnville, Oregon. The Photographs were taken on May 11, 1950 at the [Trent] farm just outside McMinnville, Oregon. I would appreciat [sic] it very much if you would obtain and send to the address listed below information and photographs of other and then such incident [sic]. Overlooking the fact that this guy claims to have information, which should have induced a query about what that information might be, the Air Force was uninterested. Yes, I know that it might have been nothing more than rumor or speculation that added nothing to our knowledge, but what if this guy had found another witness, one independent of the Trents? Wouldn’t that be of interest to the Air Force in their search for the truth? The Air Force has no information on photographs of an unidentified flying object taken by Mr. & Mrs. [redacted but again quite obviously Paul Trent] of McMinnville, Oregon. In this regard, it should be noted that all photographs submitted in conjunction with UFO reports have been a misinterpretation of natural or conventional objects. The object in these photographs have a positive identification. Overlooking the fact that he said they had no information on the photographs; he offered a solution for them anyway. If they had no information, how would he know that the object, singular, in the McMinnville photographs had been identified? And why wouldn’t he have offered that explanation in his letter? Wouldn’t that have carried more weight than his blanket statement that was in error? The Lubbock Lights photographs taken by Carl Hart, Jr., have not been positively identified, as but a single example of his misstatement. The point here is that he said he had no information and then offered information. You either don’t know or you do, but you don’t say you don’t know anything and then refute that in your next paragraph. Yes, he could make the blanket statement about all the photographs are misinterpretations but he then specified these particular photographs. He should have left that last sentence off his reply. Since it has come up recently on Facebook, I thought that I would revisit the “Unholy Thirteen,” as named by Brigadier General Arthur Exon about two decades ago. It was Exon who brought this up in my first interview with him, it was he who described the committee, and it was he who linked it specifically to UFOs. First, though, a little bit of background. Back in the late 1970s, when cattle mutilations were all the rage, I did an article about my investigations into them and the fact that I had found terrestrial explanations for these seemingly inexplicable events. I wrote an article for one of the half dozen magazines devoted to UFOs but the editor sent it back with a note that he, or the magazine, wasn’t interested in another discussion of cattle mutilations. Imagine my surprise when the next issue contained a long story about cattle mutilations. It seems he was not interested in solving the mystery, but rather in keeping it alive. 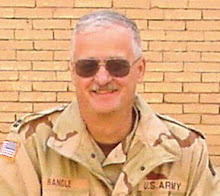 Exon said that the information about Roswell would have gone to Brigadier General Roger Ramey in Fort Worth because he was the next level of command. It would have been passed farther up the chain of command to Strategic Command Headquarters (Kenny) which was in Washington, D.C., to the Chief of Staff of the Army for Air (Spaatz), the Chief of Staff of the Armies (Eisenhower), to the Secretary of War for Air (Stuart Symington), the Secretary of War (Patterson, I believe) and finally to the President (Truman, if I need to point that out). Remember, this would have been the first word of the discovery, and today it doesn’t matter what you believe fell at Roswell, this protocol would have been followed because in July1947, these top people were worried about the identity of the flying saucers. They wanted to know what they were, who made them and if they were hostile… which is not the situation we find ourselves in today. This is important because these guys who Exon named were not mentioned in MJ-12 document, but given who they were and what they were doing, they would have been tapped for this kind of committee… but then, if Eisenhower was on the committee, he already knew about Roswell and there would be no reason for the briefing given to him in 1952. Given the structure of the government in 1947, these are guys who would have been involved and that they are not mentioned in MJ-12 is just another indication that MJ-12 is not legitimate. 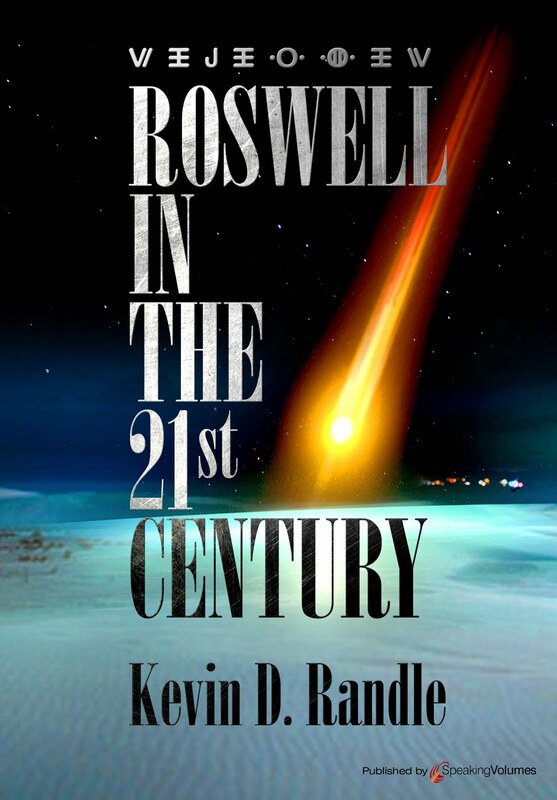 Now, none of this proves that anything extraordinary fell at Roswell but it does suggest that there was some kind of high power committee of mixed civilian and military that oversaw the collection of UFO information. Given the situation in 1947, and what we have learned about interest in UFOs that began with the Foo Fighters, continued to the Ghost Rockets and then to the flying disks, there is no question about this. The motivation for the formation of the committee seems to have begun before the Roswell crash (for a detailed look into this again see Government UFO Files: The Conspiracy of Cover-up). Stan Friedman, to counter this “assault” on MJ-12, wrote that I had misquoted Exon in the magazine article and UFO Crash at Roswell. I sent transcripts, as well as tapes, of Exon’s comments to Don Schmitt and to me, on to him along with a copy of the book and asked what I had misquoted. He acknowledged that the quotes were accurate and then complained that I had given more emphasis to his words than they warranted… well, that’s sort of my job, deciding what was important in the interview. The important point is that the quotes were accurate. So, where are we then? Well, the committee existed and we have documents other than Exon’s claims to back that up. Their purpose was to answer questions about UFOs. Exon tended to link them to Roswell, but given what we know it seems the committee was formed prior to anything happening at Roswell. It was very high level, it contained those you would expect to be on it, and this information tends to negate MJ-12, which was the purpose of my article published in the Spring, 1992. The point is, there is evidence for a high level committee, it was not MJ-12, and the documentation proves it. Or maybe the point here is to show that the name, “Unholy Thirteen,” was just something Exon invented because he didn’t know the official name of the committee and to him it was a useful way to discuss them. He knew they existed and that they were charged with determining the national security threat of the flying saucers… especially in 1947 when no one knew much of anything about them... and that was about all he knew about that. It is sort of an ongoing belief that astronomers don’t see UFOs… or as some of those claiming this say, “Alien spacecraft.” Some astronomers have seen things that could be classified as UFOs, meaning unidentified flying objects as opposed to spacecraft. Clyde Tombaugh who discovered the now demoted planet Pluto, had a sighting, but it was of rectangular lights passing overhead which could have been some kind of spacecraft or might have been some misunderstood natural phenomenon so strange that he had never seen anything like it. The point here that could be debated was if Tombaugh was claiming to see something alien. He did file a UFO report but that still is not the same as saying it was an alien spacecraft. Rio de Janeiro, 13 July, 1959 (oh my lord the hated Bill Moore dating format that might have contaminated the MJ-12 Eisenhower Briefing Document… You’re welcome Stan...) – Three Brazilian astronomers followed, for twenty minutes, the trajectory of a lighted circular object (the lights were green) which occasionally emitted rays. From 2210 to 2230 [meaning 10:10 p.m. to 10:30 p.m.] Professors Luiz Eduardo, Mario Ferreira, and Silvio Vaz watched it from the Valondo Observatory of the University of Brazil. It evolved from the constellation of Alfa to the constellation of Paon after which it entered the southern triangle of the Southern Cross to finally disappear on the horizon. The trajectory was the arc of a circle. The mysterious object did not revolve about itself. According to the astronomers, it could easily be seen with the naked eye, being about twice the size of Venus. “I am persuaded that it was a Flying Saucer,” declared Professor Eduardo. Okay, I know what you all are thinking because I’m thinking the same thing. But in the world of the Internet, I could check out some of this. I found a listing for Luiz Eduardo de Silva Machado (1927 – 1992) who could be the man mentioned in the report. He is listed as an astronomer who discovered asteroids, among other things. I found a couple of listings for the others but I’m not sure they are the right guys. And, of course, there is a listing for the observatory. This tells me only that one of the men and the observatory wasn’t invented. This brief fact check was something that couldn’t be done when the story first appeared in 1959… and frankly, it is not all that great today. However, if accurate, and I have no reason to doubt it at this point, it is just another sighting by astronomers. Instead of calling it a UFO, they gave a description and called it a flying saucer. It is the story of astronomers seeing a spaceship… and yes, I had to go to Brazil and 1959 to find this, but then I wasn’t really looking for it. I just stumbled across it and thought I would mention it. I have been working on a new book and so I have been reviewing some interesting older cases. 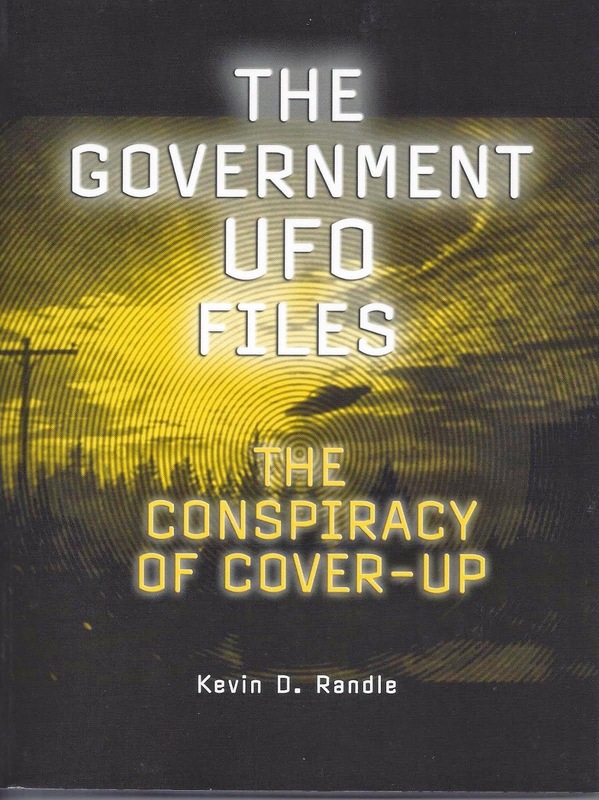 One of those is the Coyne case in which the flight crew of an Army Reserve UH-1H helicopter spotted a UFO which might have caused a radio outage and then a sudden, mysterious climb when Captain Lawrence Coyne had entered a descent to avoid a collision. Briefly, they were returning to their home station in Cleveland, Ohio, when Sergeant John Healy, seated in the left rear spotted an object or a red light off the left side of the aircraft. He thought it was brighter than the red navigation lights on an aircraft and he could see none of the other aircraft lights required by the FAA. This light disappeared behind the helicopter and Healy thought nothing more about it. A few moments later, Specialist Five (E-5) Robert Yanacsek, seated in the right rear, saw a red light on the eastern horizon. He, at first, thought it was a red warning light on a radio tower, but the light wasn’t blinking and it seemed to be pacing the aircraft. Finally it seemed to turn so that it was coming toward the helicopter and when it did, he mentioned it to the pilot. Coyne glanced out the right window and also believed the light was coming at them. Coyne took the controls of the aircraft and believing the object might be on a collision course, pushed down the collective (or technically, the collective pitch, that is a lever on the left side of the seat of the pilot or co-pilot) which changes the pitch of the rotor blades so that the aircraft will gain or lose altitude. He eventually pushed it all the way down to the stop. Believing that he was not descending fast enough, he pushed the cyclic (think of the yoke on an airplane) forward so that he would be descending faster. At this point Coyne looked up and said the object was covering the front of the windshield. Coyne said that there was a red light at the front of the object, a green light that seemed to reflect off the rear of the object, and a green light, like a searchlight coming from the rear. The object hovered there for what seemed like a long time and then took off toward the northwest. They could see the light at the rear of the aircraft was bright white. Coyne looked at the altimeter and realized they were at 3500 feet. Coyne said the collective was still full down and he couldn’t explain the ascent. Coyne then pulled up on the collective (which, of course, the opposite of what he should have done to stop an ascent but then the collective was full down so he couldn’t have pushed it any lower anyway) and at 3800 feet, they felt a bump and the climb ceased. He then spends a great deal of time reporting on his search for a record of a meteor at the time and place in question but failed. True, not every meteor is reported, but this one would have been spectacular enough that someone else should have seen it. No one did and no reports were filed. But that’s okay, because Klass is hung up on the meteor explanation and cited examples of many people being fooled by fireballs, miscalculating the distance to them, their altitude, their shape and the length of time they are visible, and some other UFO cases that were explained by fireballs which is all irrelevant here. Klass mentions nothing of Healy’s sighting of the red object that was seen out the left side of the aircraft and that slide to the rear. If it was the same object, then clearly it wasn’t a meteor and Klass’ explanation fails at that point. He mentions that the cockpit was bathed in green light as the object passed overhead and reports that there are two Plexiglas panels set above the pilots’ heads and these are tinted green. We called them, cleverly, the greenhouses, but they are directly over the pilots and are not part of the windshield. Klass seems to have confused these green tinted areas for something on the windshield much as cars used to have a green tint at the top of the windshield. The crew was not looking through the greenhouses and the light was not coming through them. Besides, the crew described other colored lights on the object which they were watching through the windshield. This was done so that the pilots wouldn’t be fighting each other for control. In similar circumstances, meaning one of us in the cockpit saw something the other didn’t that might endanger the aircraft, this is what we did, and that includes combat assaults under fire, which can easily be as stressful as seeing a UFO. We followed the ritual even at times like that, so, we know that Jezzi didn’t take over control. Could leaning back in the seat, trying to see the UFO above have caused Coyne to pull up on the collective (as opposed to have pulled back as Klass suggests)? Not really given the way the controls are configured. Could he have pulled back on the cyclic in such a circumstance? Maybe, but there would have been other consequences to that action, including a slowing of the airspeed and a change in the orientation of the cockpit. Or, in other words, that would have been noticed. Besides, given the circumstances, it is more likely that Coyne would have pushed the cyclic forward as he attempted to see the object, which would have increased the rate of descent. So Klass has solved the case by creating a meteor where none was reported, ignoring the flight of the light when it doesn’t conform to his ideas, misunderstanding the configuration of the cockpit controls that doesn’t fit his belief and his failure to understand the flight procedures of Army helicopter pilots. His analysis is badly flawed and his speculations are not driven by facts. Oh, and he does mention the report from someone on the ground who might have seen the UFO, but he never found him and for our purposes as well as those of Klass that witness does not exist. There are two other witnesses who saw the UFO from the ground and they have provided statements about what they saw corroborating, after a fashion, the sighting by Coyne and his crew. In the end, this is a case that screams to be labeled as “unidentified” because there is no a valid explanation for it. Klass was simply wrong in his analysis and his speculations should be ignored because of his manipulation of the evidence and his lack of understanding of the flight characteristics of the helicopter. There is no easy solution here and sometimes that is about all that can be said about a case.